The Tidal Basin was a hive of activity. The Peak Bloom of the Cherry Blossom festival had come to Washington, DC and tourists and locals alike were enjoying the beautiful early morning. I was searching for something different though, a unique scene that focused on the beauty of the Blossoms. Off the Tidal Basin I found my scene. 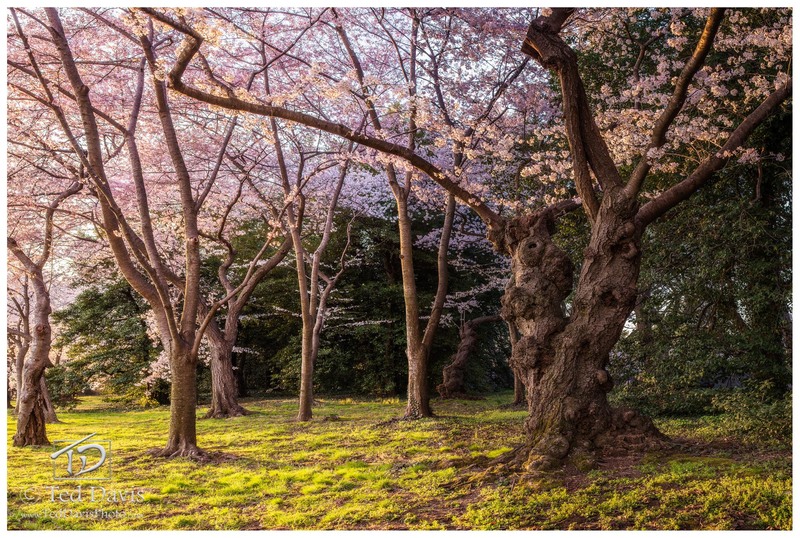 A gnarly old Cherry Blossom tree surrounded by newer growth trees gave the surreal scene character. As the sun began to rise, the green of the grass lit up and I had my scene – the spirit of the Cherry Blossoms as if straight out of a fairy tale. Photo © copyright by Ted Davis.